Irish cream liqueur is a common addition to a cup of coffee on the weekend. But did you know that you can make it yourself? That's right. With a handful of ingredients and some time, you can make a batch of homemade Irish cream liqueur that's better than anything you can buy in the store! When it comes to food and drinks, I'm a big fan of DIY. Yes, it does take more time, but the results are so worth it. Plus, you get to choose the base ingredients used so your creations are as unique as you are. And that's exactly what I love about this homemade Irish cream liqueur recipe. 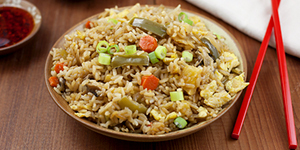 It tastes so much better than any store-bought version, and the ratios of ingredients can be tweaked according to your tastes. I like this recipe because it's not too sweet or too strong. It's the perfect balance of flavors and Irish whiskey that is delicious sipped over ice and in hot coffee. Want yours sweeter? Add in a little more honey. Want yours stronger? Add in some more Irish whiskey. The only two ingredients I don't recommend changing are the heavy cream or the condensed milk. Other than that, have fun making your own Irish cream liqueur! Add heavy cream, cacao nibs, coffee powder, almond extract and honey to a medium saucepan. Using a small paring knife, gently scrape the inside of the vanilla bean over the saucepan. Add both the seeds and the vanilla bean pod to the heavy cream mixture. Turn the heat on to medium and bring to a gentle boil. Stir frequently so that the cream doesn't scorch and to mix the ingredients. Reduce the heat to low and let the cream mixture simmer for 20 minutes. Continue to stir frequently. Strain the mixture into a medium heatproof bowl and whisk in the condensed milk. Let the cream mixture cool for 10 to 15 minutes and then stir in the Irish whiskey. The cooling period is important because the cream will curdle if you add the whiskey while it's still hot. 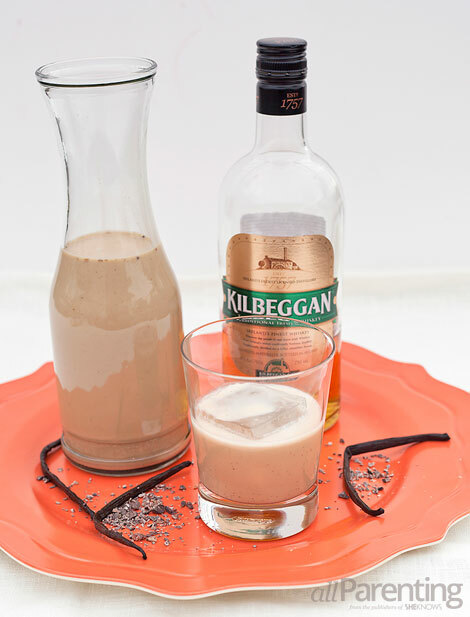 Transfer the Irish cream liqueur to a glass bottle and store in the fridge. Kept refrigerated, it should last for about a month. Enjoy on the rocks, in a cup of hot coffee or in your favorite Irish cream liqueur cocktails!